Sponsored posts can be one of the biggest money makers for bloggers or they can be a source of constant confusion. I’ve seen bloggers make thousands a month from the single income source at the same time that other blogs attract no offers. Getting sponsored posts for your blog is really the first sign that you’ve made it in blogging. Someone recognizing your blog’s value and paying top dollar for advertising. This isn’t the small-scale money you get from pay-per-click ad networks. Sponsored posts earn into the hundreds of dollars for each article. 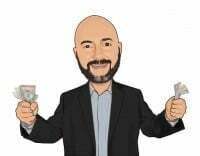 And I am going to share the exact process you can use to find sponsored post opportunities, how much to charge and how to make more money. 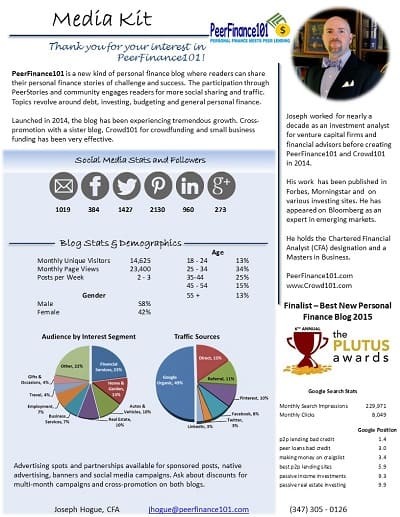 This is our third post in the profitable blogging series. We’ve already covered two of the 11 ways bloggers make money. 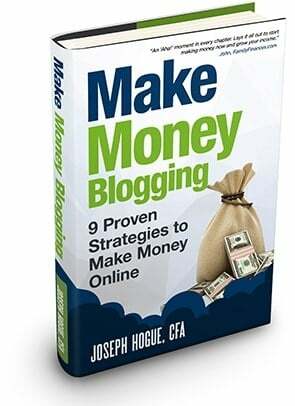 Most bloggers don’t use all of them but combine just a few of these income streams and you’ll have an online asset making thousands a month. We’ll cover sponsored posts from A to Z, detailing everything you need to get started. After a brief definition and how much to charge for sponsored posts, we’ll go into how to find opportunities on ad networks and directly with companies. Sponsored posts are blog articles paid for by a commercial brand or website to advertise their product to your readers. Rather than just a small advertising box as in display advertising, sponsored posts are a much more engaging way to get a product in front of customers. A sponsored post can be a review of the product or a more indirect approach, talking about a common problem and then how the product makes for a good solution. Sponsored posts include at least one link back to the sponsor’s website where the reader can make a purchase or other targeted action. Sponsored posts are much more effective for advertisers compared to display advertising. Display adds might get a click-through-rate of 0.2% which means just one person clicks on an ad for every 500 people that see it. Sponsored posts can see click through rates as high as 2% to 5% depending on the product’s fit with the audience and the quality of the post. Of course, advertisers pay much more for sponsored posts and it is generally a flat-fee versus the per-click model on display advertising. While an advertiser may offer to pay $1 per click on display advertising, rates for sponsored posts can reach $500 per post or more. 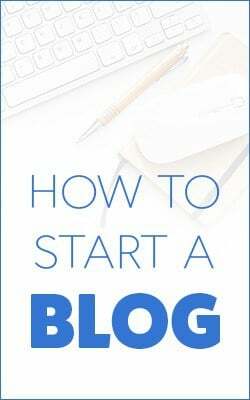 Because advertisers are paying a flat-fee for sponsored posts rather than on a per-click basis or per-sale as we saw in affiliate income, they are only going to be interested in blogs that get a high enough amount of traffic to send them customers. Even on a high click-through-rate of 5% on a sponsored post, only about 50 people will click through the company’s link for every 1,000 readers. Talking about sponsored posts and blog advertising, a lot of bloggers tell me they feel like they are ‘selling out’ their blog visitors. This is a natural feeling and you shouldn’t be ashamed. We all hate commercials and we’ve all seen spammy websites packed so full of advertising that you can hardly see the content. Always check out the product and advertiser. For sponsored posts and affiliates, you should try the product out to make sure it’s something you feel comfortable recommending. Would you be comfortable recommending it to family and personal friends? Build a policy around how much advertising you allow on the site each month and where you allow it. This includes where you place display ads and how many sponsored posts or affiliate reviews you publish in a month. Like a lot of blogging income streams, how much money you make on sponsored posts will depend on the size of your blog and the topic. I’ve seen sponsored posts bring in a few hundred all the way up to thousands a month for a blog. My own income for sponsored posts is detailed in my monthly blog income reports. I generally make just under a thousand on the blogs on which I allow sponsored posts, limiting posts to a few per month. That limit to the number of sponsored posts you publish each month is important. The success of your blog will depend on the community you can build and the trust you have with your community. Post too many sponsored articles and you’re more likely to be seen as a commercial than as a friend. There are bloggers that make their money almost exclusively from sponsored posts but most use a wider strategy like the one I’m advocating in this series. If you’re limiting your sponsored posts to a few per month or once per week, you’re likely only going to make a few thousand a month even on a very large blog. Add that to income from display advertising, self-publishing, affiliates and other products though and you’ve got a great income that isn’t dependent on any one source. This is one of the most frequent questions I see among new bloggers. You will start getting spam emails almost immediately after starting your blog from advertisers that want to offer a ‘guest’ post. Most of these are commercial websites and want to pay all of $25 when you tell them their post falls under your sponsorship policy. It’s a tough question to answer because the hundreds of low-ball offers drown out legitimate offers at realistic prices. I’ve seen all kinds of answers from those roughly based on traffic to one hilariously complex study based on followers, engagement and page views. I always ask what the advertiser’s budget is first before offering a price. This keeps the lines of communication open and avoids missing out on the big dollar sponsors by coming in low. If you are forced to come up with a number for a sponsored post, there are two ways you can approach it. First is just to price the sponsored post on how much your time is worth. How much money are you making and how much time are you spending each month? Once you know how much your time is worth…double it and then ask for that amount. It’s the first rule in freelancing, always ask for much more than you want and negotiate from there. You’ll get a few clients that accept your price outright. The second way to price sponsored posts is through a common scale based on visitor traffic. These rates are for content provided by the sponsor. If they expect you to write the post, add at least $50 or whatever you normally charge to freelance an article. It will be tempting to drop your price down, especially for new blogs not getting many offers. I would say never drop your price below $75 for a sponsored post. It’s not just about the money but the quality of sponsors you’ll attract. Pricing sponsored posts for $50 or less is going to fill your site up with all kinds of links to scams and spammy advertisers. It’s only going to hurt your brand and credibility over the long-run. Besides monthly traffic, advertisers like to see social reach as well so work on attracting followers to your social profiles. A massive and engaged social community will more than compensate for lower traffic numbers when it comes to negotiating rates for sponsored posts. You’ll get most of your sponsored posts from three ways; ad networks, unsolicited offers and reaching out to sponsors yourself. The majority of email offers you’ll see will be the spammy $25-type. I reply back with my visitor numbers and social reach, justifying a higher price, but most end up in the trash. We’ll cover pitching sponsored posts in ad networks in the next section. I’ve had some success with these but have seen the majority of sponsored posts from just reaching out directly to people that have sponsored posts on other sites. You used to be able to search for ‘sponsored post’ on another blog and find posts with sponsor links. Google has started cracking down on sponsored posts so most articles don’t explicitly say ‘sponsored’. You can still find them on other blogs, you just need to look for a few clues. Look for posts without a feature image or with a feature image different from the normal format. Look for posts with content structured differently than normal. Are there really large content blocks versus smaller paragraphs normally? Is the ‘voice’ of the writing different? Scroll over the links in posts. Links in regular posts will be to authority websites for information or to other blogs. Links to sponsors will usually be to unknown commercial sites. Sponsored posts will usually have a link in a short biographical paragraph at the end. Check in the blog’s ‘product reviews’ or ‘recommendations’ categories. Paste any links to commercial sites into a spreadsheet then follow the links to find contact information. You’ll be using this spreadsheet for years and it will make you A LOT of money so keep it organized. One tab (sheet in the workbook) will list all potential sponsors or advertisers along with contact information. Note their product category and when you contacted them last. One tab will list all the sponsored posts on your site including URL, price, date of posting and any comments. Have another column list the expiration date on each post, usually one year after publication. This will help with reaching out to people each year for another post. Your first contact with potential sponsors can be through a simple email. Explain that you saw their post on another blog and thought the product would be a great fit for your audience. All of this should be in a brief email that takes no more than a minute to scan, use bullet points whenever possible. Don’t for get to include your rate for sponsored posts so they don’t think you are offering them a free guest post. You won’t get replies from every one of the emails you send but it will produce results, especially for sites over 10,000 visitors. You’ll build a huge database of advertisers quickly and can go back to it every year for new posts. Before you jump into agreeing on a sponsored post, there are a few things besides price that need to be made very clear. Links in sponsored posts are generally for one-year. Make sure the sponsor understands this lest they think it’s a perpetual link. Set guidelines for word length, quality and where the links can point. There should never be any grammatical errors and you should always read through submissions for wording that doesn’t make sense. Establish who will be writing the post. If you are writing it, will you provide revisions and how many? Will you be providing images? Are there any prohibited words or slogans you’re not allowed to mention? You must disclose at the top of a post if it contains affiliate links or is a paid post. I usually require sponsored posts to be paid for within a week of the publication. Send the invoice immediately after publishing and send a reminder after a few days. Rather than reach out directly to potential advertisers for sponsored posts, you can also join a sponsored post network. These are ad networks that connect advertisers and publishers and then take a cut of the payment or a monthly fee. Generally, you will be working with larger brands and you’ll be the one writing the posts. Some sponsored post networks work through ad networks that also offer display advertising options while others only work with sponsored posts. I’ve included a short list of some of the most popular sponsored post networks here but there are many more. Those listed here are better for blogs with U.S.-focused audiences and they might not approve you into the network if most of your traffic isn’t from North America. Some sponsored post networks also require a certain level of visitor traffic as well. Federated Media bills itself as the world’s largest lifestyle network and includes an ad network as well as sponsored post opportunities. The site doesn’t list a minimum traffic to be accepted into the network but it is choosy about which blogs get in. The network works with some of the biggest brands like Best Buy, American Express and Old Navy. You can expect rates from a low of $200 and up to $500 for sponsored posts. It never hurts to apply to ad networks. 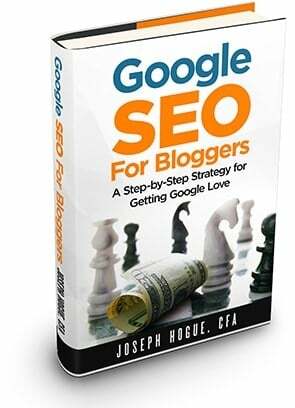 Even if your blog traffic doesn’t yet qualify, it can still put you on their radar for the future. For blogs that do not qualify for Federated Media, the site offers the Lijit advertising network which has no minimum. TapInfluence is another premium network for sponsored posts. They pay the highest I’ve seen for posts and directly connect post opportunities with bloggers so you don’t have to pitch companies. The site charges brands top dollar for access to publishers so you better believe they place a high standard on who they let into the network. The network also manages pricing differently than others. You connect your analytics to your account and that determines how much they offer for sponsored posts. You can try to negotiate higher prices if you feel your traffic quality is worth it. BlogHer is a whole community with an annual conference and educational component. You have to be signed up to the ad network to get sponsored post opportunities but I’ve heard rates are very good for posts. You can also get sponsorships to promote advertisers through your social profiles if you have a large enough reach. The network is obviously female-centric. I haven’t applied or talked to any guys that are on the network but there are male bloggers on the network. It’s a huge community around every blog topic so something to consider even outside of the ad network. Pitching a sponsored post on one of the networks is a lot like pitching a company directly. You will have already included some of your blog stats in your application to the sponsored post network so advertisers will have access to that information. For most sponsored posts, you will include a short pitch about a few ideas for blog posts. This is where you emphasize how close a match your audience is with the sponsor and how you want to present the product. These are mostly marketing people deciding on your pitch for a sponsored post so be descriptive and enthusiastic. Take a day to craft a persuasive pitch on why your blog is a good fit for the brand. You’re not just pitching one sponsored post but your relationship with the brand into the future. While it’s not required, accompanying your pitch for a sponsored post will look more professional if you include a media kit. These are one- or two-page documents that detail your blog’s value to an advertiser. Media kits can be made in any format but are usually converted to pdf before sending to a potential advertiser. I’ve included the media kit for one of my sites here though it’s been about a year since I updated it. There’s no required structure for your media kit but there are a few things you want to show advertisers. You can add your rates to the first page or offer another page just for rates and ad spots. Adding different offers and advertising spots on your blog page or in the sidebar can help negotiate package deals with advertisers. Sponsored posts are big money for bloggers but another task you have to put on your calendar. Many bloggers put off really organizing their sponsored post outreach and never really see the money they could be making. This has created a great freelancing opportunity or a way to outsource the work on your own blog. The freelancer will handle all negotiations and outreach with advertisers. Some freelancers will even publish the sponsored posts to your site if you give them a user account. You redirect any emails for sponsored posts to the freelancer’s account and they handle the rest. I have seen freelancers charge between 25% to 35% of the sponsorship fee. Most just charge this commission rate though some charge a small monthly fee as well. Some have the sponsor make payment to them and then remit to you at the end of the month while some will have you invoice the sponsor and then they will invoice you each month for their cut. You can see how this kind of a freelancing idea could add up to some serious money. 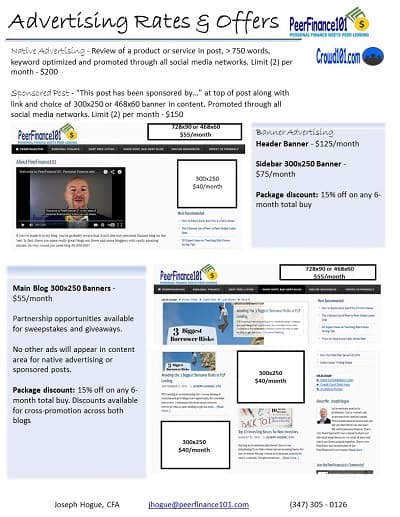 If you manage the sponsorships on just five blogs, finding an average of four sponsored posts each month at about $250 each then you could be making an extra $1,500 a month. 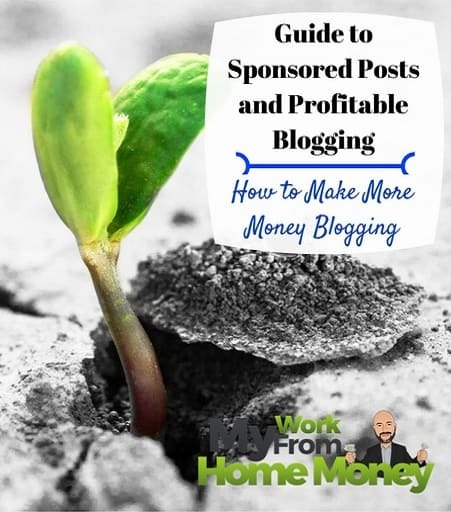 Once you’ve got a list of advertisers that pay for sponsored posts, the whole process is fairly easy to manage for several blogs at once including your own. That’s what you’ll need to get started making money with sponsored posts but there are a few more points that need mentioned. Most of these should be obvious but they’re important and I’ve seen a lot of bloggers commit them and then wonder why they don’t make any money. Profanity and poor grammar – Advertisers may shy away if you use frequent profanity or do not edit your content for grammar. The rule on profanity seems to be becoming more lenient and even ‘fashionable’ at times but you’re still better off avoiding too many expletives. Poorly written or not persuasive – Not only will a poorly written blog attract fewer advertisers but you just won’t see the traffic growth otherwise possible. Check your posts before publishing and then again after their published to make sure they are something people will want to read. Poor blog design or unprofessional – This is a tough one for those of us ‘non-creative’ types. A professional, user-friendly blog design affects everything from your reader stats to your rank on Google. Advertisers aren’t going to be interested in a site that looks cluttered or unreadable. No contact info or ‘hire me’ page – If you are serious about freelancing, put a ‘Hire Me’ page in the top menu and advertise your services. If you just want to highlight advertising available on the blog, put the page in your footer menu. Not on hosted servers – You need to have your blog on hosted servers rather than through free hosting on WordPress.com or Blogger. Hosting your site gives you greater control and ownership, something advertisers are going to require you to have. I’ll be updating the post regularly with new info but this will get you started making money with sponsored posts. Getting sponsored posts is one of my top traffic sources and the process is surprisingly simple once you get organized. Devote a couple of hours each week to finding new sponsored posts clients and keeping your outreach spreadsheet organized. You’ll be making money in no time and can even use your list as a freelance tool to make more money.